The board of civil authority is the body responsible for determining voter eligibility and hearing property tax appeals. 17 V.S.A. Chapter 43; 32 V.S.A Chapter 131.The town clerk serves as clerk of the board and she or he, or any selectperson, may call a meeting of the board by posting notice and giving written notice to each member. 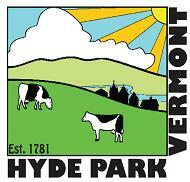 The Hyde Park Board of Civil Authority is comprised of the selectpersons, town clerk and justices residing in town. 24 V.S.A. § 801. All meeting minutes of the Hyde Park Board of Civil Authority will be posted here.